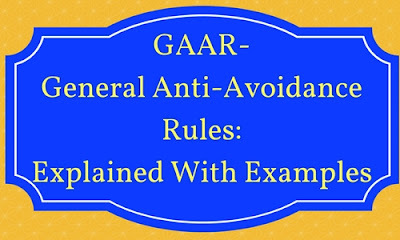 General Anti-Avoidance Rule (GAAR) is an anti-tax avoidance regulation of India. It was introduced by then Finance Minister, Pranab Mukherjee, on 16 March 2012 during the Budget session. Avoidance means nothing but an attempt to reduce the tax liability through the legal means. Evasion & Avoidance are two different entities. In Avoidance, tax reduction is done legally but in evasion, it is done illegally. Tax Avoidance is one of the major concerns across the world. Different countries framed different rules to minimise such tax avoidance. 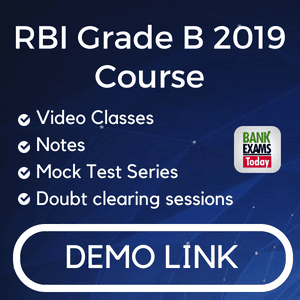 Such rules in simple terms are known as General Anti-Avoidance Rule (GAAR).Thus GAAR is nothing but the set of rules ratified so as to check the avoidance of tax. In India, the actual discussions started on 12th-Aug-2009, when the draft of Direct Taxes code Bill (DTC) released. On 16th-Mar-2012: Finance Minister, Pranab Mukherjee takes a tough decision & announces that the government will curb on tax avoidance effective from the fiscal year 2012-13. On7th–May-2012: Finance Minister, Pranab Mukherjee forced to change his opinion and agreed to defer GAAR by a year as his announcements spooked oversea investors. On 28th-Jun- 2012: Finance Ministry releases the first draft on GAAR, there was the wide criticism of the provisions. On 14th-Jul-2012: PM, Manmohan Singh, formed a review committee under Parthasarathi Shome, for preparing a second draft by 31st August and final guidelines by 30th September 2012. On 1st-sept- 2012: Shome Committee recommends to defer GAAR by three years. On 14th-Jan-2013: Govt. of India partially accepts the recommendations of Shome Committee and has decided to defer the same for 2 years and will now be effective from the year 2016-17. On 27th-sept-2013, as per the notification issued by Govt. of India, GAAR would be valid for foreign institutional investors that have not taken the benefit of an agreement under Section 90 or Section 90A of the I-T Act or Double Taxation Avoidance Agreement (DTAA). apply only to business arrangements with a tax benefit exceeding Rs3 crores. Defer implementation of GAAR by 3 years. The threshold of tax benefit is Rs.3 crores & additional with changes in 1962 Income Tax Rules. Mauritius Issue- GAAR should not appeal to inspect the realness of the residency FII from Mauritius. The government should hold the provisions of the CBDT circular that was issued in the year 2000 on acceptance of TRC (Tax Residence Certificate) issued by Mauritius government. The Approving panel is Five-member committee, two members must be non-government persons & of renown from the fields of Accountancy, Business or Economics. The other two members must be chief commissioners of IT dept., chaired by a retired High court judge. A choice made by a company between leasing an asset and purchasing the same asset. The company would claim a deduction for leasing rentals rather than depreciation if it had their own asset. Would the lease rent payment be disallowed as an expense under GAAR? GAAR provisions, would not, prima facie, apply to a decision of leasing (as against purchase of an asset). However, if it is a case of circular leasing, i.e. 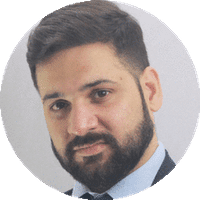 the taxpayer leases out an asset and through various sub-leases, takes it back on lease, thus creating a tax benefit without any change in economic substance, Revenue would examine the matter for invoking GAAR provisions. `A` company borrowed money from a company `B` and used that to buy shares in three 100% subsidiary companies of `A`. Though the fair market value of the shares was Rs. Y, `A` paid Rs. 6Y for each share. The amount received by the said subsidiary companies was transferred back to another company connected to `B`. The said shares were sold by „A‟ for Rs. Y/5 each and a short-term capital loss was claimed and this was set-off against other long-term capital gains. By the above arrangement, the taxpayer has obtained a tax benefit and created rights or obligations which are not ordinarily created between persons dealing at arm’s length. Revenue would invoke GAAR with regard to this arrangement.